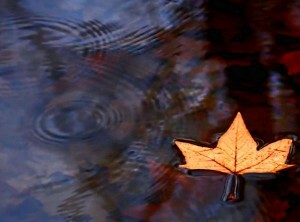 a) To float on the surface of a pond or a lake for minutes like a fallen leaf, like what my father used to do. Save for a nose and tummy protruding, everything else was submerged in the water as he floated and meditated on the clouds flitting by. 2) Shed the tyre around my belly. 3) Claim I am still young to learn swimming. 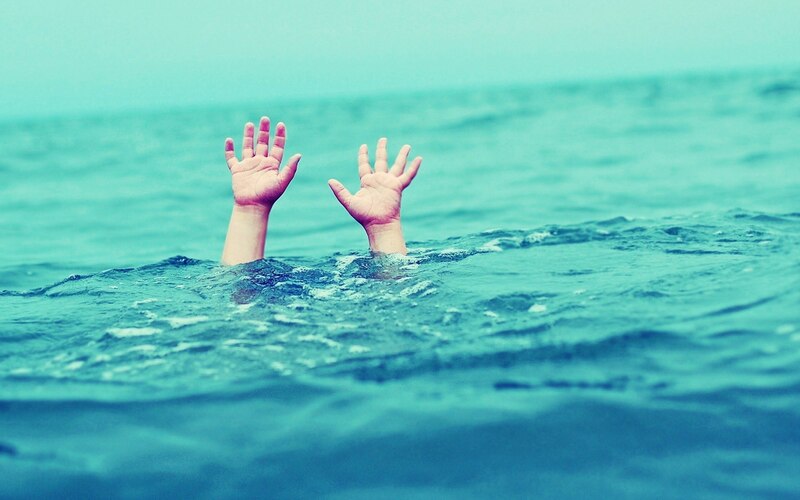 And as I drowned, the last sensory image I picked was my students turning towards me from the riverbank and screaming back: “OK, mashe…” They thought, I was deliberately doing it, immersing myself to get my head wet. But I didn’t lose courage. The moment I hit the floor, I pushed myself up with all my might, surfaced and told my students very calmly about my situation, that their teacher was serious in drowning, that he in his whole life hadn’t drunk as much water as he just drank a second ago, and would die bursting unless they stop lathering themselves up with the bathing soap he brought, jump in and bail him out. I went down again. That time my students understood my predicament (the soap had completely thinned out by the time), and dived in to save me. In theory I knew every aspect of swimming from childhood. 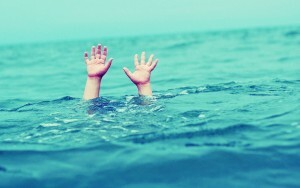 All you have to do is to dive into the water, bob up, stretch straight, throw your arms one after the other, as if you are climbing a horizontal ladder, grabbing the water ahead and throwing it down with disgust as if it was not the water you wanted, with arms like the backhoes of a JCB in action. You zip on to the other end of the lake! Want some flourish? Kick the water at the back with your legs, which is skippable. If you don’t want, don’t bother. 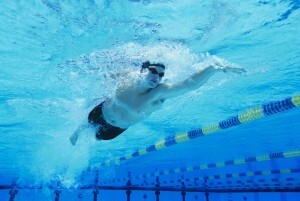 Backstroke is easier. You roll to the other side without rising up on your elbows, take a deep breath, look up at the clouds, and float on (The only thing you shouldn’t do is to slip into sleep, or draw your legs up, and read or sms anyone on water). Well, that was what I thought about swimming before my family and I joined the Waterworks swimming pool at Vellayambalam, last week. I got disappointed in the dressing room on the very first day itself. Saw too many bare asses – hairy, closely shaved, pot-holed, tattoed, checkered – as people changed into swimming trunks. They think once the front is covered the back has an obligation to disappear even without a single thread of the turkey reaching it. It hadn’t. I thought about the water I would be drinking in the coming days in the name of swimming. Look at the board a second time, your urinary bladder swells up magically. I avoided reading it a second time and wished others might follow me. “You came here for snorkeling or to learn swimming?” Asked my instructor. Swimming, I said, but why! Then, throw those fins and gloves away, he said. We will be using only goggles and a cap. No oxygen cylinder? I asked. He shook his head. “Now take a deep breath,” he told me in the pool. Glug glug glug, I replied. No, no, no, stand up! Did I tell you to inhale under water? You exhale under water, inhale outside, ok? I coughed, spitting out water. Suddenly the image of those medley of asses I saw a few minutes ago crossed my mind. Two minutes later, I found myself holding to the parapet of the pool, kicking furiously on the water as if I wanted to split the pool into two. With the kicking, my instructor told me, he wanted to see my depressing lower half blossom out of water. “Tell me when the body comes up,” saying that, the instructor vanished. Realization soon dawned. Jesus never walked on water, Moses never parted it, myths they are; water is stiff, dumb, unyielding like concrete. 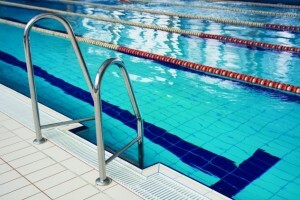 I kicked and kicked, splashing out all the water, and still my body remained deep under. But what disappointed me the most was not water, but the unedifying sight of my experienced co-swimmers, who swam like sleek minnows around me until a minute ago, climbing off the pool, dragging huge blobs of fat behind them. Once out of water they turned to blue whales on legs. Some of them were so plump that even if they hadn’t come in swimming trunks, no one could catch anything behind the sagging bellies. 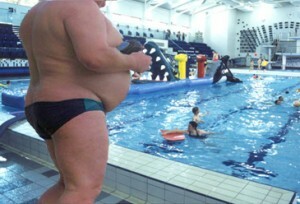 All my hope of shedding fat in the swimming pool vanished. The only relief in the evening was the eye candy sight from the other end of the pool. 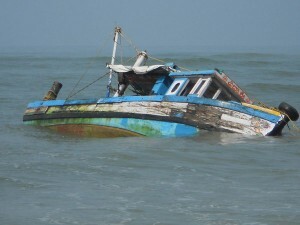 My whole family was in deep sea struggling. Divya went into all sorts of shapes a woman of her age could make, turning and twisting around in water in her desperate attempt to leave the floor of the swimming pool at least once to float. Everything else came off my wife and floated – her cap, goggles, watch, bangles, talcum powder, nail polish, – except her body. At one point, the poor instructor, watching my wife assume those myriad shapes in water forgot what she was instructing, had to put my wife straight on her legs, shake her hardly and ask what she had come for to learn. Swimming, she replied, much to the relief of her trainer. Another moment I caught my wife crawling out of depths, supporting herself on a firm and kindly leg someone offered, which to her horror, as she almost reached to safety, turned out to be her own! She lost her balance and fell back with a scream. When the bell rang finally asking the combatants to stop fighting and separate, Divya had already kicked two instructors to a considerable distance. The third baulked on the shore, excusing herself with her menstrual periods. She could do only theory for the next two months, she swore. “Awesome experience! I love swimming, Manu chetta!” My wife said on our way back. I didn’t say I was watching awesomeness from a distance. I stole a glance at her while driving. Oh my poor wife, even when she was pregnant with Ammu, she hadn’t got her tummy this big. A quarter of Vellayambalam swimming pool lay there near me on the front seat of the car, sloshing about inside my wife. In ten minutes I learned how to float. I could say, I learned it fully, but there was a hitch in my floating. This was it. The moment I propelled myself on, my body without any provocation from either me or the swimming pool, keeled over to my left. WTH! That was an awkward position to swim by any standard and soon I saw the crowd leave their swimming and gather on either side of my track as I swam past in that ‘ananthashayana’ position. Where did you learn this man! I looked like one of those boats capsized in Periyar or Eranakulam floating around, abandoned and lost, and censured by the media for a lack of fitness certificate. Posture is the thing, I told myself and tried to right myself mid-float by a little wriggling and twirling. Then I keeled over to my right. Uh-oh! (Don’t interject “uh-oh” under water, I soon learned. Whenever I interjected I drank half a gallon). I bobbed up and threw a desperate glance at the family end of the pool to catch in time my wife surfacing after one of her underwater researches tossing our daughter over her head. I looked at the far end of the pool, where it went fifteen meters deep, where I could see schooners, tankers, freight ships, barges and cruise ships of swimmers effortlessly gliding by. Don’t get desperate Divya. Today the region might seem to us like Pacific Ocean. But we will go there one day, kick by kick, stroke by stroke, taking all the time in the world to learn this wonderful art of swimming. 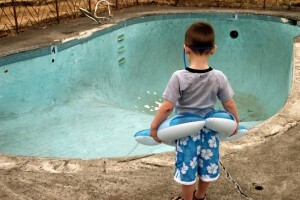 All I want you to do is to be patient, and to leave enough water in the pool for that awesome moment in our life. “Why haven’t we thought about learning this great thing before, Manu chetta?” asked Divya on our way back, her hand resting on her huge tummy. “Everything has its own time, Dasaa,” I replied. Thanks for the read Ushaji. I keep afloat, that is all, even now. I completed just three days of swimming and big vessels and freighters are still a far away dream.But I will one day. Nice to read this. In fact I too was in the pool with you. I recognised you and saw you struggling with your body and water and deliberately avoided talking to you assuming that you wouldn’t like to meet me in such a watery situation!